Athena Real Estate Agency was founded in 1990 and since then works in the real estate sector, gaining great credibility and acting as a safe reference in the local real estate scenario. Characterized by a constant commitment to serving clients, it is able to inform and guide you on all the many aspects of sales and leases. It handles the sales and rentals of residential, tourist, commercial, agricultural land and building properties. Athena Real Estate Agency carries out, on behalf of its Italian and foreign clients, renovations of buildings and interior decorations, using qualified professionals, as well as collaborating with the best technical, business, legal and notary firms. The owner, Architect Ms. Anna Rita Casciaro, is registered in the FIAIP (Italian Federation of Professional Estate Agents) and totally emberaces the Federation's underlying objectives. She collaborates with colleagues across the country. Her constant commitment and ongoing professional training ensure quality services. 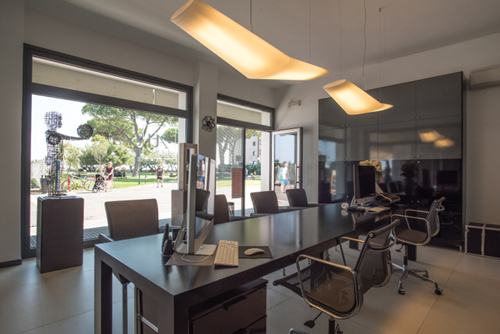 Agenzia Real Estate Agency offers its costumers top level services, based primarily on professionalism, together with the right mixture of cordiality and avaiability. We have selected a few links about Grado for you so you can discover the beauty of our country for a dream vacation.